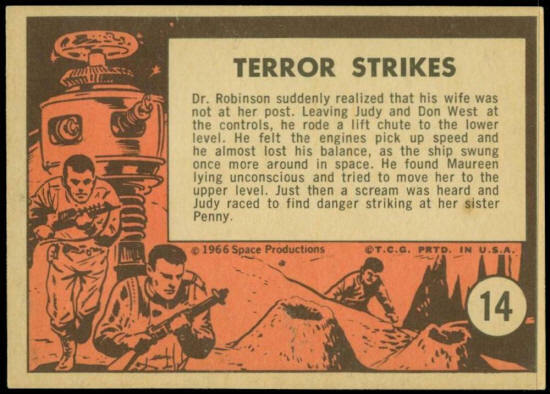 Dr. Robinson suddenly realized that his wife was not at her post. Leaving Judy and Don West at the controls, he rode a lift chute to the lower level. He felt the engines pick up speed and he almost lost his balance, as the ship swung once more around in space. 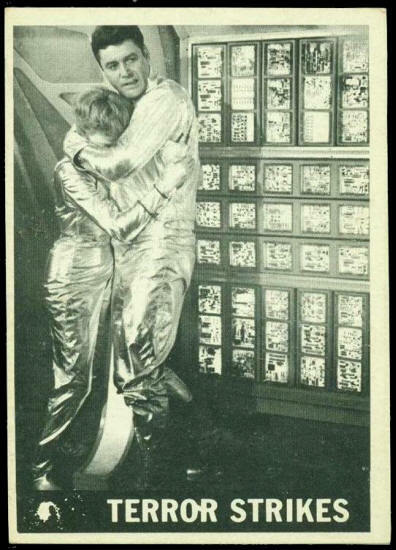 He found Maureen lying unconscious and tried to move her to the upper level. Just then a scream was heard and Judy raced to find danger striking at her sister penny.